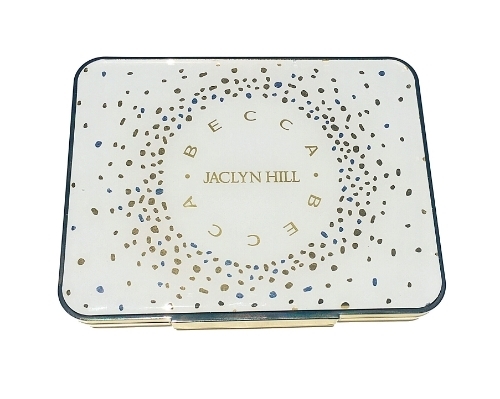 Yet another beautiful collaboration from from Becca Cosmetics and YouTube Sensation Jaclyn Hill has hit social media by storm. The Champagne Glow Collection, which features a limited edition face palette, a limited edition eye palette and three formulas of the Shimmering Skin Perfector in Champagne Pop is set to launch today on Sephora’s website. I was able to pick up the Champagne Glow Face palette during the exclusive pre-launch last week and today I will be sharing my review and swatches. If you’re wondering whether or not you need this palette, the short answer is yes! Scroll below for more details. First, let’s discuss packaging. It’s absolutely gorgeous! The luxe white and gold packaging is so stunning. It’s a sizable palette that includes a huge mirror with a clasp closure. It’s sturdy and quite thick which I hope will prevent the contents from shattering. Some of the pressed Becca powders I’ve owned in the past have shattered before so I am glad that the packaging is not fragile. Though not ideal to fit in your makeup bag, it is still compact enough to be travel friendly. For reference, here’s a size comparison of the Becca X Jaclyn Hill Holiday Palette that was released last fall to the Champagne Glow Palette. 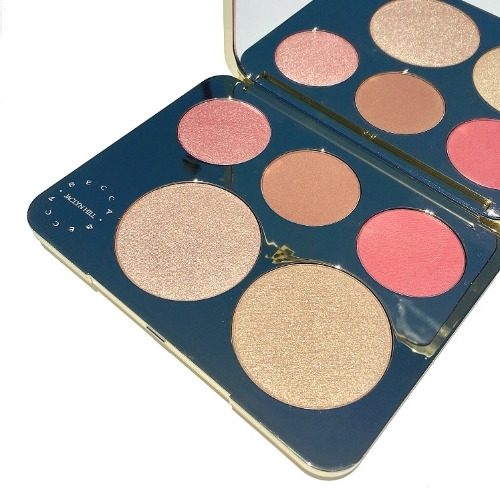 The limited-edition Becca X Jaclyn Hill Champagne Collection Face Palette has five shades of highlighter and blush to illuminate all skintones. 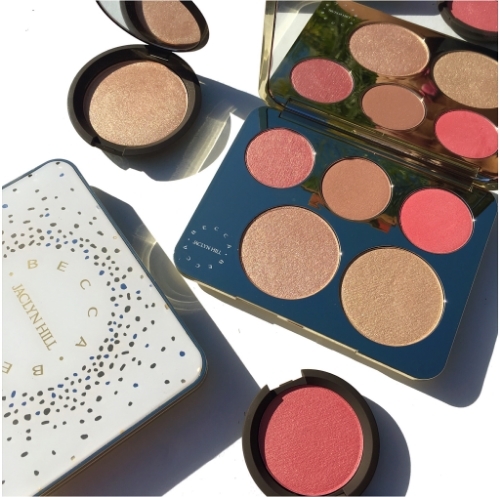 It contains three blushes in the colors Rose Spritz, Amaretto, and Pamplemousse as well as the original Champagne Pop and a new, more golden highlighter called Prosecco Pop. Upon opening the palette, my first impression was that Rose Spritz was somewhat similar to another color of the luminous blush that I own in the color Snap Dragon, however I was wrong. Rose Spritz is intensely more luminous and leans more pink while Snap Dragon leans more coral. Amaretto is a beautiful shade that I think can be used as a light contour, or to add warmth, dimension and depth. I am in love with this shade and I am so glad it was included in this palette. If you’re looking for an intense pop of color, you can find it in Pamplemousse, the most vivid hue contained in this palette. You can mix and match the shades and layer the colors to create your own sophisticated, customizable glow. The possibilities are really endless! In terms of the formula, they are incredibly pigmented, buttery smooth, and soft to the touch. You really have to use a light hand because they are so pigmented. 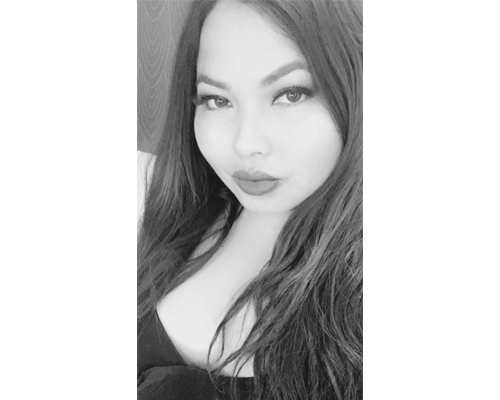 This palette helps to accentuate my features in the most beautiful way and provides beautiful luminosity that lasts for hours. I’ve been wearing different color combinations for the past couple of days and I have been asked about what I’m using, a testament to how much this palette is working well for me! Swatches to follow below. Now, if you already have Champagne Pop in your possession and maybe some of the luminous blushes in your collection you may be wondering if this is worth buying. I truly think it is. With a retail price of $52, you get a lot of bang for your buck considering the retail value is priced at $136. If you haven’t tried any items from the Becca line, then this is a deal you don’t want to miss. It is simply stunning, effortlessly wearable and the color combinations are universally flattering in my humble estimation. I am very happy with this purchase and I look forward to using this palette all year long. What about you? Are you planning on picking this up? The collection launches today on Sephora’s website which you can find here.